One of the first conversations I have with a new client is what their marketing plans are in regard to media appearances. Often times, the author is unsure how to go about getting media attention and therefore puts it on the back burner. Follow these three steps for creating a media campaign to get your book noticed on a local, national and even international level. Blog Tours and Book Blasts are great ways to generate excitement with a concentrated media presence. A blog tour is similar to a city tour but instead of flying all over the country, you are surfing the web in a combination of blog and podcast appearances. They usually consist of interviews, guest posts, excerpts, and reviews. A book blast is typically a concentrated one-day event and can involve 50 or more blogs. A book blast is more or less an advertisement and is often used for cover reveals and spotlights that include the summary. While time-intensive, they are the easiest way to get media attention. 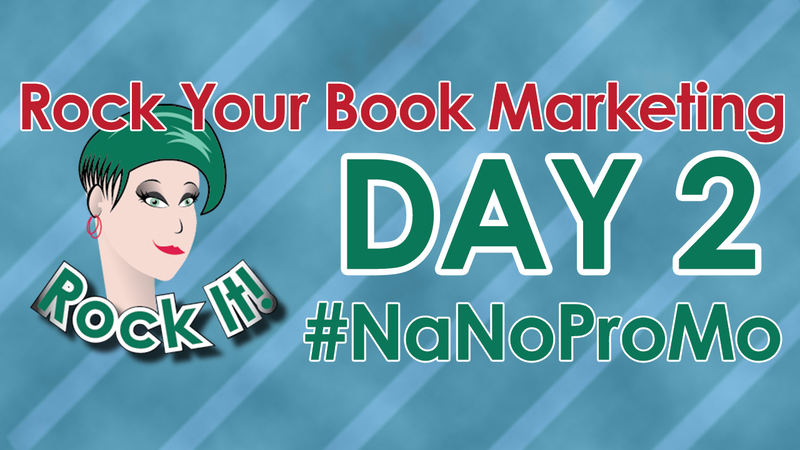 These tools work best for special promotions – Pub Day, publication anniversary, right before the release of the next book in a series, as a tie-in (Awareness months, Children’s Book Week, etc.). I will caution on the length of tour: 15 – 20 stops is more than adequate for a tour. Remember, you need to provide unique content and often extended tours become boring as readers get the “been there, done that” feeling. Blog tours and book blasts should be fun, fresh, and flashy. For more information on how to do a blog tour or book blast check out my tips on tours and book blasts. I also provide a step-by-step guide in my ebook Secrets to a Successful Blog Tour. It will walk you through everything you need to know to have a great tour. It is important to keep your name in front of readers throughout the year. Your own blog and social media presence help to keep you connected with your fan base. However, it is appearances on other blogs and podcasts that will find you new readers. As a blogger who receives numerous review and tour requests each day, I often wonder if authors don’t know they can appear on blogs without a review or tour. Many bloggers have regular guest post features or welcome authors at any time for interviews and spotlights. You should plan for 1 – 2 appearances each week for the first three months after a book’s release. Then you will want to do 2 or 3 appearances/month. After 6 months, assuming you haven’t started the process over with a new book, shoot for at least one appearance a month. Authors should note that bloggers with weekly features often are booked 1 – 2 months in advance. So it is a good idea to start booking these as early as possible. Are you thinking this sounds like a lot of work? It is, but since the interviews and guest posts are spread out, you can repurpose content easier. For example, this is a post I wrote in 2013. I’m tweaking some things and adding a bit of new content, but it is a lot easier to write than the first time around. Another time-saving tip: when you send your review pitch, offer to guest post or to do an interview. Even if I’m not interested in reviewing the book, I will often book a guest post or interview with the author. Blogs are not your only source of media coverage. However, traditional media appearances can be the most difficult to obtain. It’s not impossible, and it is an important component of a media campaign. Most of your coverage will be around the time your book first releases or wins an award, but if you can make yourself an “expert,” then you can extend that coverage due to journalists needing sources to quote. You should try to include 1 to 3 appearances on non-blog outlets per month. Sign up with HARO - Help a Reporter Out - to receive daily emails (3 times a day) from journalists looking for sources. This resource can be particularly useful for non-fiction authors (but that doesn’t mean fiction authors won’t find opportunities as well). Think about topics you have researched for your books and you might discover that you are now an expert in that area. There are a number of online radio shows about books and authors. Blog Talk Radio and Radio Guest List are great sources for finding radio shows. Also, do a search for local programming in your area. AM talk shows focused on your community or public access television are great starting points for live media appearances. For television, be sure you can work with a quick turnaround time. I once contacted a local television station for an author and they were at her house for the 6:00 pm news. A slow news day may just be your lucky day. I know you want national coverage, but starting with your local media will not only help prepare you for a national appearance, it will also establish your reputation. Also, stories by local affiliates are sometimes picked up by the national network. I will leave you with a final tip for planning your media campaign: make yourself newsworthy. Public appearances such as book signings and library talks can get you on community calendars. Speaking engagements at Lion’s Club or Rotary Club can net media coverage. Getting involved in a cause that is important to you or winning awards (not just for your books) can be an indirect approach to media coverage. ​Donna's book Secrets to a Successful Blog Tour (Kindle version only). 10 winners will be chosen so make sure to leave a comment! is an avid reader and natural encourager. She is the founder of the GIRL WHO READS website and the author of how-to marketing book, Secrets to a Successful Blog Tour. Wow, a lot of great information here. It’s a little overwhelming. I will have to study this and come back with questions. I would be happy to answer any questions you have. Also, I’m the guest tonight at the Book Marketing Chat where we will be discussing this more. I’m not quite to the marketing stage, but taking in all the info I can about it in preparation for when I’ve finished revising. Thanks for the post. Is the Book Marketing Chat on Twitter at 6pm every Wednesday? Michael, yes, I believe it is! Hi Michael! Yes, every Wednesday, 6pm pst/9pm est on Twitter. Just type in the hashtag #BookMarketingChat at the time and follow along. If you happen to miss it (or want to read summaries of past chats), you can go to Facebook.com/bookmarketingchat for tons of summaries. Look under NOTES. This month will be especially great as I have an expert each week! Thanks for checking in and asking. Thanks, Rachel! I will check it out. Very helpful article. When I published my first book, I was hesitant about pitching to traditional media. When I did, it was too late (they said they only cover new releases). Still hesitant about Broadcast media. Broadcast media can be daunting, but usually, you get a link to the interview so you can share it. It can really generate interest. So much meat to this post, Donna. I release in January 2019 and you’ve offered some really great insights. Thank you! Today, there are a lot of fun opportunities at our disposal if we’re willing to tap our creativity banks. Definitely a lot of opportunities out there. It just takes some time and effort to find them. Regional media can be great – like cultural, literary, family/parenting, other niche magazines can be a great source of media coverage. Pitching a story idea rather than your book works best with these outlets. January 19 – woo hoo! I bet that’s going to come around sooner than you think. While waiting for edits to come back is a great time to start researching your media campaign – who will you pitch to, how will you tailor your pitch to the different outlets, etc. Thanks for the reminder to be zealous in seeking these opportunities! I’ve done a couple of blog tours tied with book launches and especially appreciated how diligent the bloggers were at posting their reviews on sites like Amazon and Goodreads as well as their own blogs: that really helped my books get early traction. And yes, HARO is a great resource: in a previous life I landed a mention in a national magazine due to a HARO lead. Marketing is something you need to be doing every day. There are a lot of opportunities available for authors, they just have to seek them out. What a great blog post for current and future authors! In fact, the post started the wheels turning within my head. I started writing from the time I could pick-up a pencil. However, to escape from a physical and emotionally abusive family, I joined the U.S. Navy and spent 28 years working my way from E-1 to LCDR while working on fixing all that had been broken within me from the time I came into this world. I had several opportunities to write while serving. I had a column in the Hawaii Navy News, I designed and began two Command monthly newsletters, outside of my regular duties, and I wrote evaluations, fitness reports, Inspector General (IG) responses, etc. While I wrote, it was all professional, and I worried that I would lose my passion for writing, but I should have known better. When a passion shows itself at the young age it did with me; there’s a reason for it. After I retired, it took a while for me to return to my writing because I did two back-to-back deployments and compounded my trauma from my childhood. And while I did the very thing I had planned, to stay active duty until I could retire and write without having to worry about going back to work, I was lost. It took me a while to remember the end plan because, after 28 years of getting up every day and putting a uniform on, I struggled with my identity. I finally worked through my identity issue, but it took longer to get to the point of writing without losing myself to the trauma of my last two deployments. A long while. One day, I realized I was writing. I was writing about the terror of the deployments, but while out of town an upstairs water heater burst and the water ran down into my office and one of the spare bedrooms, destroying all my research, my documents, and my writings with water and mold. After a while, I realized it was for the best and last year I started working on two very different manuscripts. My blog was defunct as the result of having surgery in 2016 and 2017. I thought about closing my blog but was talked out of doing so. For this I am thankful. I have started concentrating on my blog but due to reading and writing for myself, building a Twitter and now Instagram following which I understand is prerequisite to grow a following well before you publish. On top of reading and writing for myself, I am now reading and writing book reviews and posting them on my blog (I will also post to Amazon and Goodreads and wherever else the author asks). My last blog was on April 20th, a book review on Carrie Rubin’s ‘The Bone Curse.’ I am writing another book review on Eldonna Edward’s ‘This I Know’ NLT tomorrow. And I have two books, one from NetGalley and another from an author that I am obligated to read and write a book review. So, what is my point? My point is, I had an ah-ha moment when I read about blog tours and guest posts to market an author’s pre or post released book. I would like to receive a Kindle version of Donna Huber’s Secrets to a Successful Blog Tour, and as soon as I complete my comment, I am going directly to her GIRL WHO READS website to look around. But I am also interested in offering my blog (dbmoone.com) for blog tours. And if there is anyone that can set me in the right direction to get some blog tour traffic, it’s you, Rachel. I know this is long. Be thankful this was not a text letter. My text letters are renowned. Some love them, and other’s tolerate them because they know I have this writer’s problem in which there is no pill to take. Please let me know what you think, Rachel, and if it’s easier to have this discussion via FB messenger or email, my email is inkpen2010@gmail.com. Great advice, I used a blog tour on my last book promotion. I wrote a lot of the blog posts while my book was at the editors. Great advice with a lot of ideas I hadn’t thought of! I’m still looking for a good promotional service. I’m seeking recommendations and checking out author support groups but are there specific things we should look for in such a service? Or do we choose by trial and error? Recommendations from people you know and trust are the best way to determine a good service. Also check out what work the service has done and if it matches what you want. See if they do a free consult as a first meeting. Thanks, Donna, for an informative article. I’m revising my first novel at present, and trying to learn about promotion at the same time. Thanks, also, for sharing your expertise on #bookmarketingchat. Thanks for the great post and the great #BookMarketingChat. Very informative. This is a part of marketing that overwhelms me. It can be overwhelming. I suggest breaking it down into parts or steps. I find it helps to have a document that outlines all my marketing activity. Very meaty. I need to set aside some time to re-read, follow the links, and digest. Bookmarking. As a long-time book reviewer and observer of other people’s book marketing efforts … I’ve reviewed a lot of books for authors who have approached me directly, but very few come back and ask me to review subsequent books. Maybe some didn’t publish anything else. Maybe some didn’t like my review (fair enough. My reviews are honest, and a book has to earn five stars). But it seems authors are missing an opportunity in not approaching bloggers or reviewers who’ve enjoyed their previous books. It makes the whole process harder than it needs to be. Do you have any thoughts or observations on this? I have several authors who repeatedly come back to Girl Who Reads for reviews. I think sometimes authors confuse bloggers with fans. They think that they have “won” you over with the first book so now you will go out and buy the rest. Some bloggers do that. For me, if I buy a book then I don’t feel like I have to write a formal review on my blog. It is my way to read for fun. Bloggers should really be considered media professionals who authors develop a relationship with over time. Definitely a post I will come back to again for review. All of this makes sense, but as an author who is still in the pre-publishing stage for my first book, this feels pretty overwhelming. How can I book appearances, tours, etc. when I don’t have the product in hand? I struggle to wrap my brain around that part. Thanks for the great advice! I need to get on this soon, as the first book of my 5 book series comes out in July!